Okay, I admit, this comic might not meet the category of being called "Really Good." 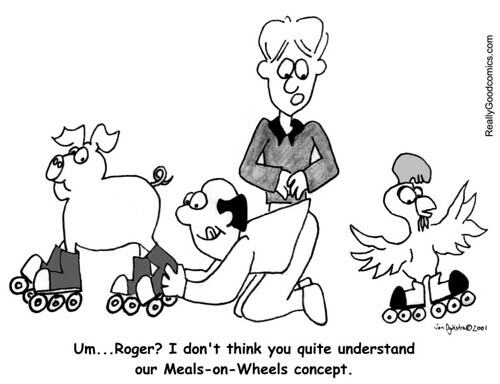 But if it isn't the greatest comic ever, it is a pretty good illustration - this originally appeared accompanying an article on retirement that suggested retired people volunteer with worthy groups like Meals on Wheels. You can find that article, by Rene Vermeulen, here.